Jack Resnick & Sons announced that home goods retailer, Bed Bath & Beyond and its subsidiary, One Kings, Lane will open a design and photo studio at 250 Hudson Street and 315 Hudson Street. Bed Bath & Beyond expects to occupy 27,778 s/f on the entire 11th floor at 250 Hudson Street later this summer. 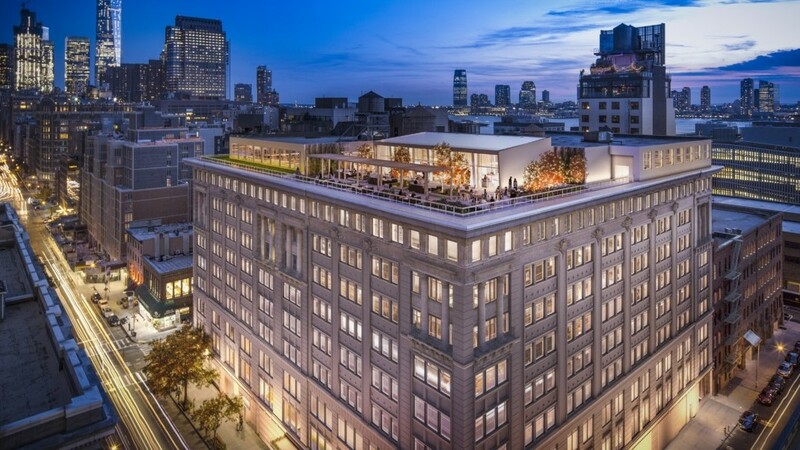 During the second quarter of 2018, Bed Bath & Beyond and One Kings Lane plans to occupy 51,576 s/f on the entire 4th floor at 315 Hudson Street, after relocating from its existing One Kings Lane offices on the 8th floor of that building. The company will be bringing a substantial portion of the design and photography work for Bed Bath & Beyond, buybuy BABY, Christmas Tree Shops andThat! and Harmon Face Values in-house, and hiring a team of approximately 70 to work across the design and photography studios. Bed Bath & Beyond is the second major lease signing at 315 Hudson Street since the Resnicks commenced a $65 million transformation and renovation project in 2016. Last summer, the company finalized a 55,000 s/f lease for Galvanize, Inc., a Denver-based tech learning community that is establishing its first East Coast campus at the building. The school, which offers web development, data science and data engineering education, workspace and networking to students, startups and established companies, will open in early 2017. Bed Bath & Beyond was represented by Peter Gross and Jim Gross of Douglas Elliman Commercial in both 10-year transactions. Jack Resnick & Sons’ Brett Greenberg and Dennis Brady, along with a Newmark Grubb Knight Frank (NGKF) leasing team of David Falk, Jason Greenstein, Danny Levine and Peter Shimkin, represented building ownership in the 315 Hudson Street transaction and Greenberg and Brady were the sole landlord advisors in the 250 Hudson Street lease. 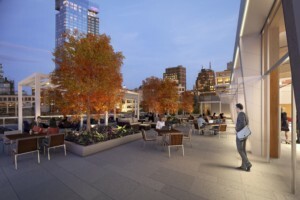 Jack Resnick & Sons has embarked on a major capital improvement program at 315 Hudson Street. The entire building will be upgraded to a state-of-the-art Class A office with an expanded lobby designed by FX Fowle Architects to be completed in the summer of 2017. New mechanical systems, elevators and new windows will be completed in 2019 as part of the second phase of the redevelopment. 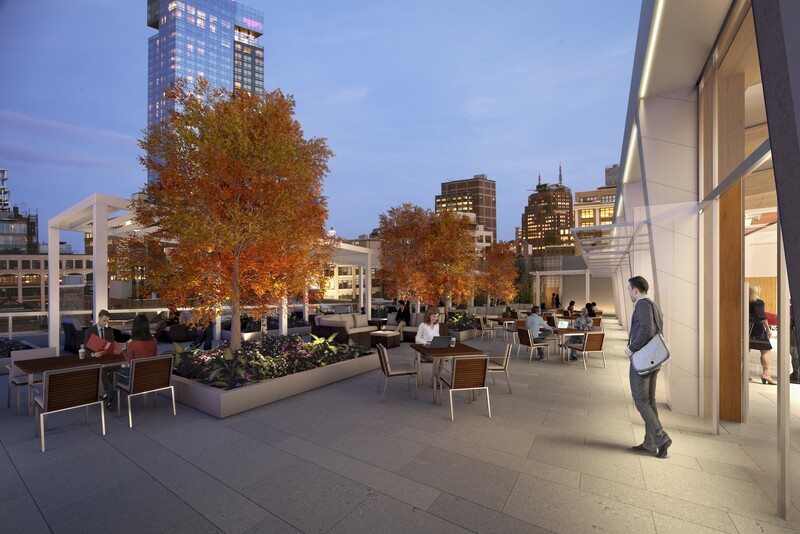 The rooftop was become a 10,000 s/f landscaped green roof that will have both indoor and outdoor space for building tenants. Ownership is currently marketing a 235,000 ss/f block of contiguous office space on the top five floors of 315 Hudson Street, which will be available for tenant possession beginning in early 2019.